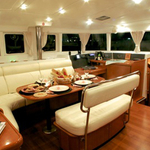 In 2006 has been manufactured yacht Lagoon 440 named Apollo. This sailboat is available from port Lavrio in area of Athens in Greece. 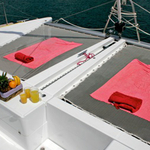 You can board up to 10 passengers on the sailing boat Apollo. Configuration of sleeping places is 10 (8+2). 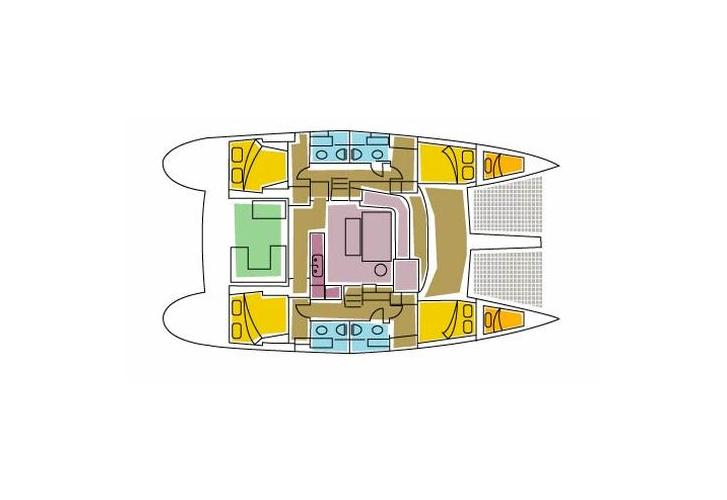 There are 6 bedrooms placed below boat's deck. Apollo has 4 WC. 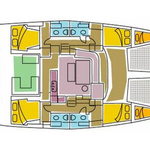 Analyze our offer over here: Catamarans Athens. Tank for fuel is 650.00 l liters big , water container has up to 850.00 l l. In this yacht there is motor 2 x 53 HP. 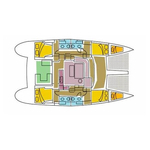 With 13.61 meters of LOA and 7.70 m of beam Apollo offers enough space for comfortable sailing. Lagoon 440 Apollo is equipped with: Autopilot, generator, Inverter 12v-220v, TV, DVD player. . Security deposit is at the level of 3000.00 EUR. You can get other vessels in this section: Catamarans Lavrio.